Our professional babysitters will provide the best babysitting services with a greatest care and utmost sincerity, strictly following your child-rising policies. Every staff is well-trained and experienced in child nursing. Some even have job records of working at childcare facilities and kindergartens. And most of all, they are all down-to-earth women with understandings in motherhood. We are proud of their passion for their job and love for children. 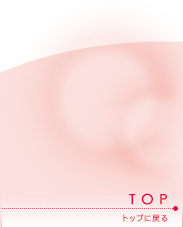 So, call us now and your English-speaking assistant will provide you with further details about Mamy Tokyo. (We will try to send the nearest staff to your place possible). *All fees include tax and accident/indemnity insurance to cover your children and our babysitters. Extra 2000yen if we arrange after 14:00 prior to the booking date and on the day arrangement. Our babysitters will bring their own food for the first meal. ・No cancellation fee when the reservation is changed or cancelled more than two days prior to the reservation day. ・50% cancellation fee when the reservation is changed or cancelled on the day before the reservation day. ・100% cancellation fee when the reservation is changed or cancelled on the reservation day. 1. 2nd chid sitting-50% OFF! Babysitting fee for the 2nd and 3rd child will be 50% OFF. So if you have three children, fees for the 3rd child will be free! 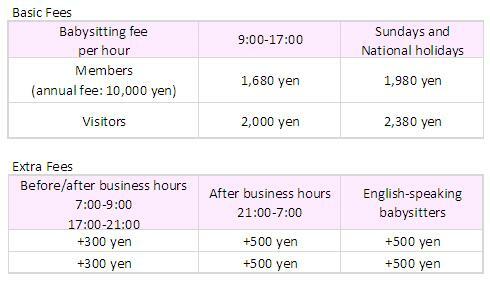 Also, the extra fee for babysitting before/after business hours is only +300 yen, regardless of the number of children. 2. Subsidy system of Welfare Ministry available! What should I do? - click here. COPYRIGHT(C)2008 ベビーシッター 西東京市 小金井市 国分寺市 国立市 立川市 八王子市 調布市 府中市 日野市 中野区 三鷹市 /株式会社　ナチュラル ALL RIGHTS RESERVED.